Our Alaska fishing trips are an opportunity to fish the vast riverine, glacial, and mountain wilderness known only to Alaska. These guided trips offer a chance to appreciate the landscape, and to experience Alaskan rivers and streams at your own pace. With spectacular destinations like the Kenai River and the Ninilchik River you will be as delighted by the Alaskan scenery as you are by our professional guides. 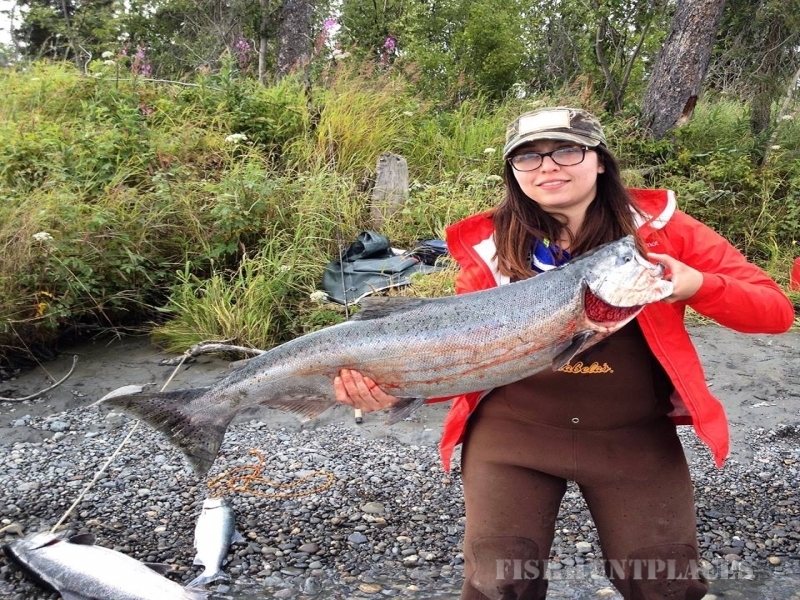 Fishing in Alaska is awesome and there are many options to choose from when considering which fishing trip is best for you. With daylight as our constant companion in the summer the lack of darkness frees us of a time-oriented schedule so we can fish throughout the day, and on some trips we’ll even fish on several rivers in one trip. Fishing in Alaska is always an adventure. We offer boat based trips, hike-in trips, fly-outs or a combination of all. We frequently fish in areas that are remote and fish amongst the wildlife. There are vast gravel bars where we can fish and take in the magnificent views of the mountains. Don’t worry even if you’ve never fished before, we’ll teach you how and show you the ropes. We guide for complete beginners to seasoned pros, and we’ll provide as much help and instruction as you like. Fishing in Alaska is an experience of a lifetime, with abundant wildlife and productive streams and rivers, a full day leaves us happily satisfied. On hike-in days, we will typically travel around 1-3+ miles over the course of the day. You will have ample opportunity to fish while having the expertise of professional guides to assist you.